Our specially blended chocolate individually hand-crafted around caramelized double-roasted Hawaiian-grown macadamia nuts! A real hawaiian treat!! You haven't had crunchy macadamia nuts like this. 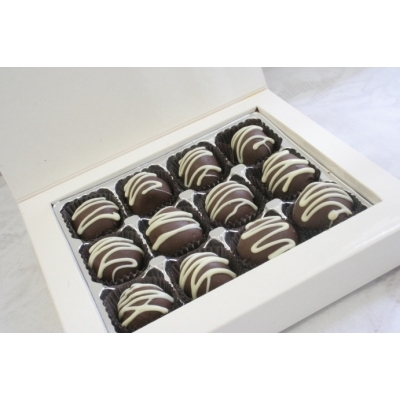 Also available as $2.30/2-pack package, $24.00/24 pieces box or individually wrapped in foil for $30 per pound. Custom-Made to order, please order 1-2 weeks in advance. Rush orders are available. Please contact us If your event is less then a week away or if you have any special requests or questions.